Roland’s new M-5000C Live Mixing Console. © 2015. Roland’s new M-5000C Live Mixing Console, pictured with iPad. © 2015. Roland’s new M-5000C Live Mixing Console – rear view. © 2015. Roland’s new M-5000C Live Mixing Console – top view. © 2015. 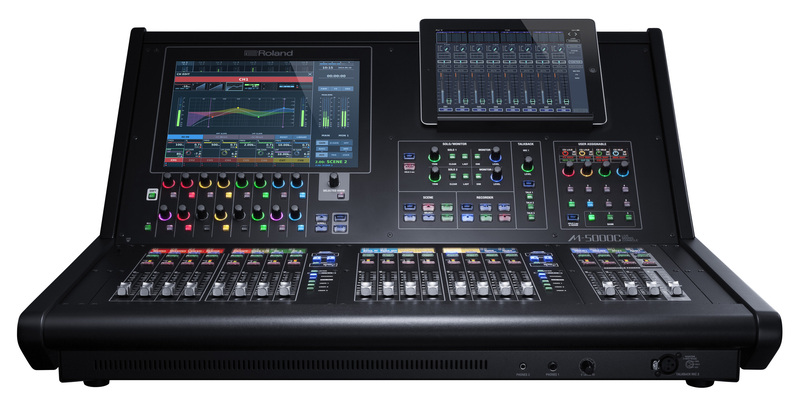 Los Angeles, CA, August 3, 2015 — Roland’s Professional A/V division announces the M-5000C Live Mixing Console. The M-5000C is the newest addition to the growing line of O.H.R.C.A.-based consoles from Roland that provide powerful features at an affordable price point. Measuring under 30 inches (74 cm) in width and weighing just 70 pounds (32kg), the compact M-5000C maintains the quality and many features of the popular flagship M-5000, making it ideal for theaters, portable churches, OB trucks/vans, touring or any application demanding power and flexibility in a small footprint. Photo caption 1: Roland’s new M-5000C Live Mixing Console. © 2015. Photo caption 2: Roland’s new M-5000C Live Mixing Console, pictured with iPad. © 2015. Photo caption 1: Roland’s new M-5000C Live Mixing Console – rear view. © 2015. 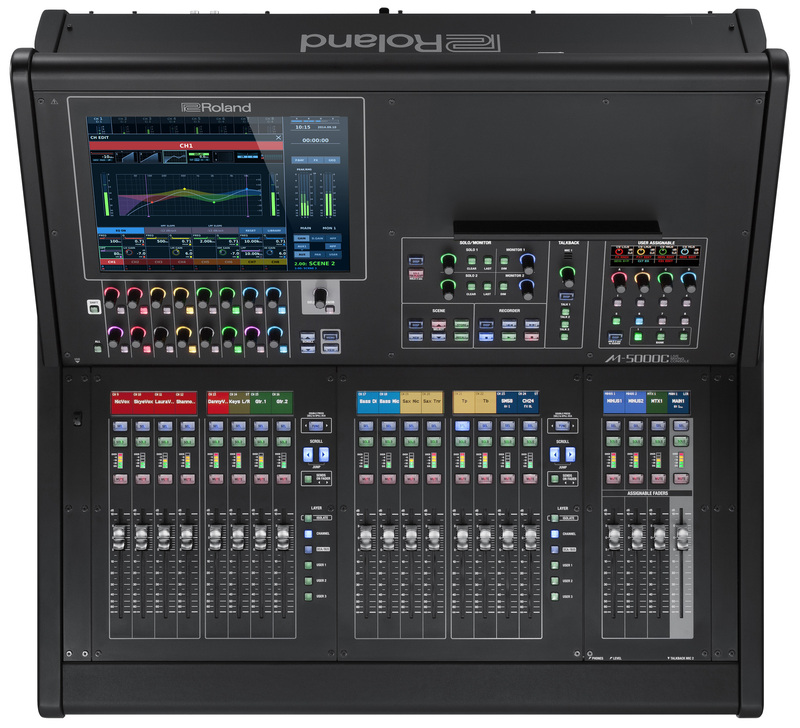 Photo caption 4: Roland’s new M-5000C Live Mixing Console – top view. © 2015.